What caused the dramatic decline in honey bees in the USA? It seems that there wasn't a single cause, there were a combination of factors that lead to the rapid decline in honey bee numbers. 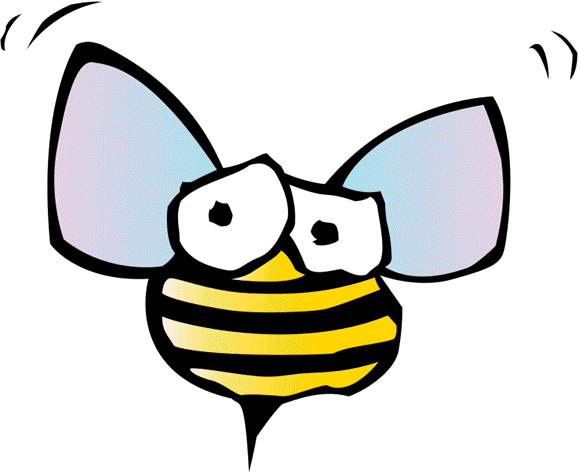 One of the main culprits was called Colony Collapse Disorder, but that also had multiple causes. I've come across a paper by Professor May R Berenbaun, who is Professor and Department Head of the Department of Entomology at the University of Illinois at Urbana-Champaign. Her paper is fabulous. She gives a history of beekeeping going back to early innovations. As well as that she discusses how scientists got together to identify what had happened to the honey-bee population, the multiple causes of the decline, and how it has since recovered quite a lot. It's complicated. She referred to "a century of benign neglect" among other things. In recent decades there were mite infestations, which rapidly developed resistance to pesticides. 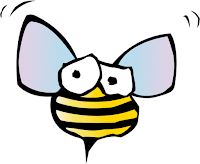 In October 2006, scientists mapped the genome of the honey bee. In 2006 Dr Berenbaun headed up a National Academy of Sciences Study Group to look into the problems with honey bees, so she knows her stuff. Colony Collapse Disorder isn't a single cause, it's the result. The causes seem to have included everything from viruses and other pathogens (eg various viruses carried by mite infestation) to a "staggering amounts of chemical contamination within managed hives". Her paper is long, but it's chock full of information, entertaining and easy to read, if you are interested in learning about the US honey bee industry. That said, there are some comments from bee keepers who say the problem is still a problem and I tend to give credence to people who actually get their hands dirty over office experts. So I don’t know what the truth is on this. The answer is easy. There IS a parasite. They DO lose 30% every year. They CAN and DO compensate as a normal part of their business. What I DON’T see is any connection to global warming. Seems the alarmists have gone dark on this subject. I believe Australia is still largely or totally Varroa free. Apparently there is quite a demand for our bees. Just like the frog die off, human had something to do with it, ecotourist and and human pet frogs help spread the fungus that killed the frogs by introducing it to populations that had not seen it before but again global warming or the use of herbicides and insecticide had nothing to do with it. The blame human first crowd pick on the the “political correct causes” while ignoring the true cause since the true cause would not advance their agenda. Danny Thomas says: …man always affects his (her) environment just by being in it. Agree completely. But that isn’t the question. The question that answers the debate is this one: is dangerous AGW happening? It’s the irrational crowd I’m worried about. TG posts some inane "thought" that popped into his head. Nothing to do with bees. Maybe mental illness and too many climate conferences are killing all species. How about Warmers getting a productive job that contributes to the economy instead of condemning progress and the constant seeking rentseeking grants and handouts!!! one of the "climate science is a hoax" conspiracy theories. Don't waste your time at WUWT. If you're interested in the history of bees in the USA and the causes of the dramatic drop in numbers in recent years, and the rebuilding of the honey bee population - read the article below. I stubbed my toe today, It wasn't due to global warming. Therefore global warming isn't real. There's some bees, so I won't have to talk about the sea ice trend. Wow! You continue to do an amazing job on all these bogus claims by WUWT. Thank you for the great coverage and reporting! I've Actually spoken to a large beekeeper here recently who sat next to me for two days (really hard to type now sorry), he was very aware of climate change affeting his colonies. he has over 7,000 hives and delivers the all over the country non-stop during the crop season but lives very close to me. We discussed his work and honey. He has suffered through many dead and dying colonies. Yet more lies from wuwt connedspiracy fools. Great article by Berenbaum. Watts seems as acute as ever. A friend of my tells me her parents are among the North Americans (I'm in Canada) importing queens from Australia. I had not realized that one could mail bees from Australia to Canada until she mentioned it but apparently is is normal practice. I suppose one cannot expect the bees to fly all that way on their own. Err, just where did Watts or anyone else get "Climate Change" from the WP article? Not one mention that I could see. I did take exception to the caption on the picture about good little capitalists. I would have thought a beehive was an excellent example of a collectivity, perhaps the model for medieval monasteries? Commercial bee colonies in North America that are wiped out by disease, parasites, pesticides, severe weather or unknown causes are replaced by queens and small colonies imported from other areas of North America or overseas. Wild bees and other insect pollinators have no such deus ex machina solution. There is a train crash looming; some observers notice but most of the passengers are oblivious. The observers blow the whistle and call for the brakes to be applied, which they belligerently are. The crash is avoided, yet the oblivious people call the observers false prophets and alarmists over something that did not happen. This is the logic of the 'post truth' world we live in today. As an aside while reading the Berenbaum article I ran across this line, "Varroa destructor is a blood-sucking ectoparasite" I think I vaguely know that is meant but what an excellent insult. I can say about my worst enemy, "He/she is a blood-sucking ectoparasite". It's good to see the chemtrailers are so nature and reality oriented. And, at least, planes are not dropping aluminium foil all over us any more.